The Walking Dead season 8 episode 15 video: Could Negan kill Dwight? 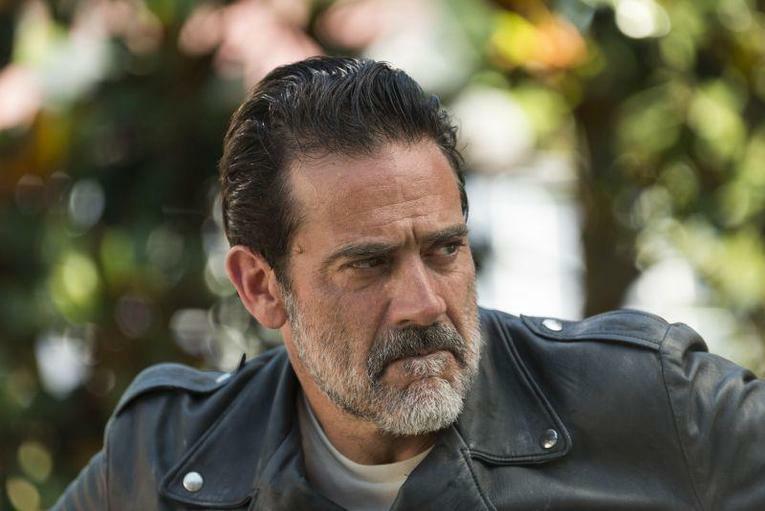 Leading into The Walking Dead season 8 episode 15 on Sunday night there are a number of interesting questions worth asking. One of the biggest ones right now surrounds the fate of Dwight. There is certainly one clear way to think about the character’s long-term future — in the comics, Dwight goes on to have a future as the leader of the Saviors. However, we’ve already come to learn over time here that The Walking Dead is not a show afraid to shake things up in a big way from the source material. The Carl crisis is the best example of this. In the new sneak peek below (via TV Guide), you definitely get the sense that Negan is trying to put the fear of god into Dwight over some of his recent actions upon his return to the Sanctuary. Dwight and Simon have been doing their own things for a little while now, and all three of these men have a different of opinion when it comes to the handling of the Hilltop and elsewhere. Negan still sees many of these people as “resources,” so he’s going to continue to push this agenda as best he can. The problem for Dwight is that he’s so traumatized at this point that standing alone against Negan face-to-face, at least right now, doesn’t seem to be something that he’s capable of (especially since he seems to be still siding with Rick’s group). He’s a little more comfortable being a double agent behind the scenes. The problem that Dwight is running into here is that he doesn’t know how much Negan knows about some of his secret acts, and Negan exploits that by relishing in a little bit of his newfound power. He enjoys the opportunity to be able to dangle some of that over Dwight’s head for as long as he possibly can. Dwight says the right things in response to some of Negan’s orders, but this is just his behavior in a given moment. As the episode progresses, some of these behaviors will probably change. Beyond Dwight, Simon is obviously the other character we’re the most worried about — it’s possible that both of these characters are going to make it through tonight alive, but when the All Out War explodes next week for the finale it’s certainly possible that heads are going to roll, especially since Negan has learned through Jadis that Simon disobeyed orders and then straight up lied to him about it. Related – Be sure to check out some other insight when it comes to Morgan’s eventual departure from the series. What do you want to see when it comes to The Walking Dead season 8 episode 15 as a whole? Be sure to share right now in the attached comments!